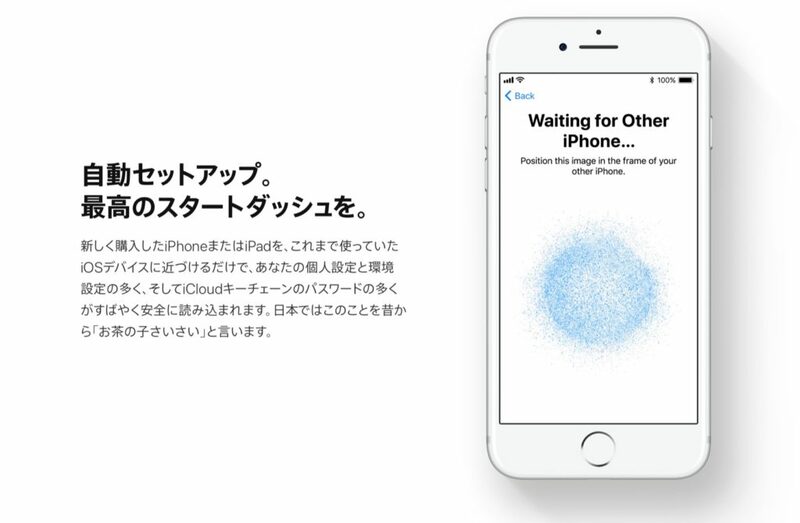 iOS 11では近くのiOSデバイスから設定やiCloudキーチェーンのパスワードなどを読み込む「自動セットアップ」機能が利用可能に。 | AAPL Ch. With iOS 11 installed, during the setup process, there’s a new option to transfer settings from an existing device (which also needs to be running iOS 11). The two devices need to be held close to one another, and when nearby, you’ll get instructions to pair them.